Is that a joke? Neither from the numbers in this thread nor from my ingame experience looking for rogues for our raid roster is that true. It would be great to have a graph showing average daily count of players and how this has changed over time... ie. are we gaining players on PvE realm? how quickly? is this slowing down or speeding up? Zethron wrote: It would be great to have a graph showing average daily count of players and how this has changed over time... ie. are we gaining players on PvE realm? how quickly? is this slowing down or speeding up? Yesterday there were over 2900 online at 21:00 server time. Used to be around 2500 not too long ago, so I'm sure the server is still growing. Probably people joining from the PvP realm because it became unplayable for them. 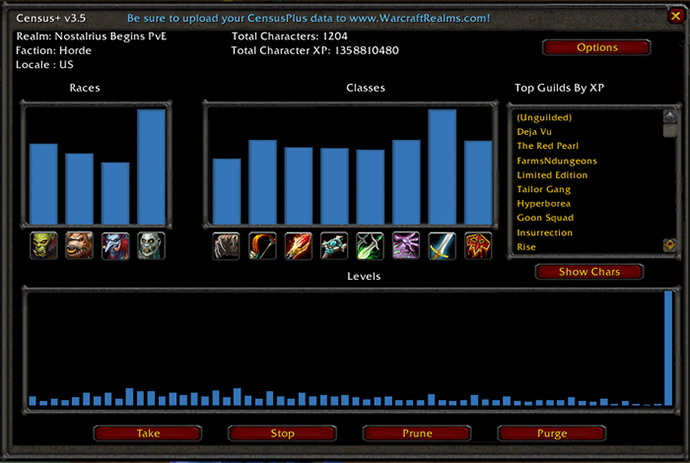 Ooo, looks like the classes on the Horde side is starting to level out. Is this a lv60 census or just all levels? 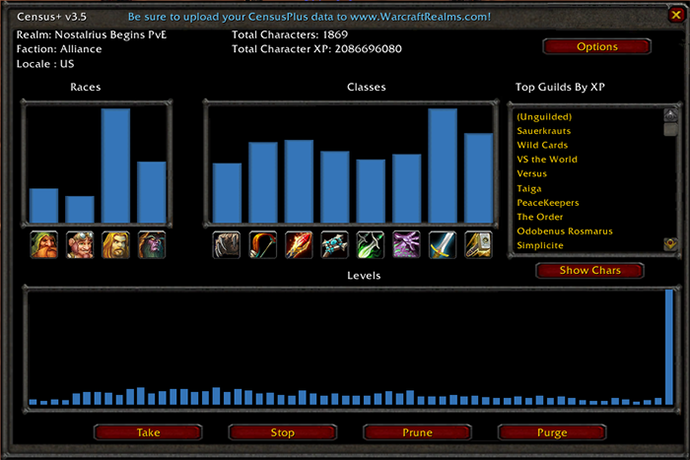 Naeads wrote: Ooo, looks like the classes on the Horde side is starting to level out. Is this a lv60 census or just all levels? According to the faction numbers, it's a full range census. It would be nice to see a level 60 statistic too. Anyway, thanks for your work neifel! 3800+ online last weekend (who command).